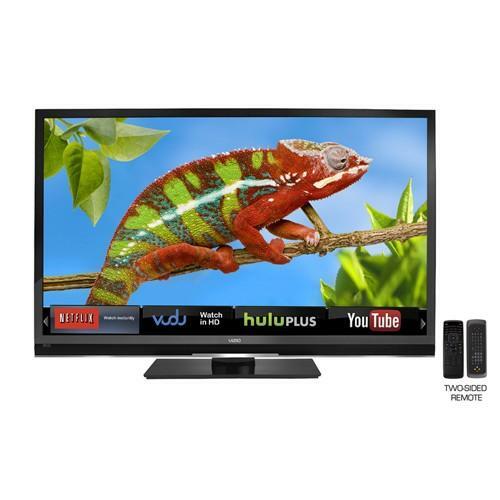 VIZIO's 32" Class LCD HDTV delivers superior picture and audio quality at an amazing value. 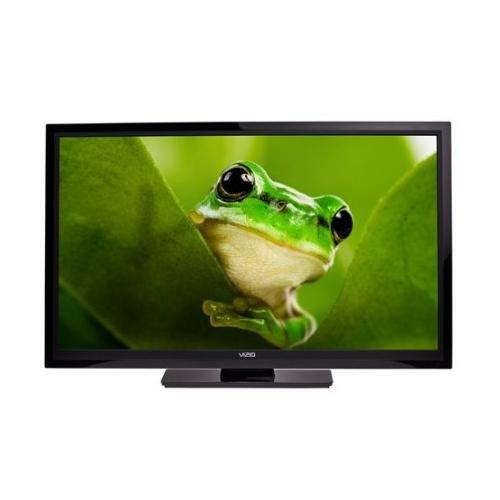 This flat screen LCD HDTV features a 100,000 to 1 Dynamic Contrast Ratio for deeper blacks and brighter whites, and ambient light sensing technology for a perfectly-balanced picture that's never washed out or too bright. SRS StudioSound HDTM audio supplies advanced virtual surround sound and three HDMI ports accommodate your satellite or cable TV and Blu-ray Player. 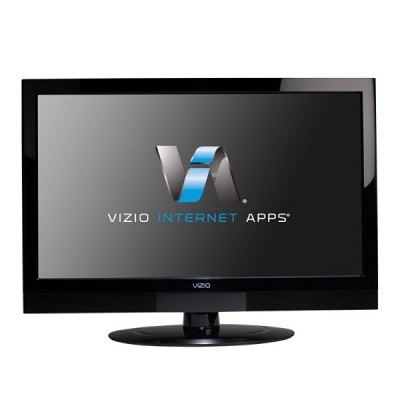 VIZIO's 47" Class LCD HDTV with VIZIO Internet Apps puts the best of the web right on your TV, giving you instant access to VUDU, Netflix, Hulu Plus, Pandora, Facebook, Twitter and more. With built-in Wi-Fi for easy set-up, this HDTV also boasts 1080p Full HD and 120Hz refresh rate for a superior picture at an amazing value. Its ambient light sensing technology ensures a perfectly-balanced picture that's never washed out or too bright. As spectacular as it is thin, the 42" Class Edge Lit Razor LED LCD HDTV delivers a brilliant, breath-taking picture in a razor thin design. 1080p Full HD gives it vivid color and impressive contrast, while a 120 Hz refresh rate provides smooth, ultra-sharp viewing for fast-action sports or movies. If you're one to appreciate real depth in color, you'll also enjoy its striking 100,000:1 dynamic contrast ratio that produces truly deep blacks and brighter whites. 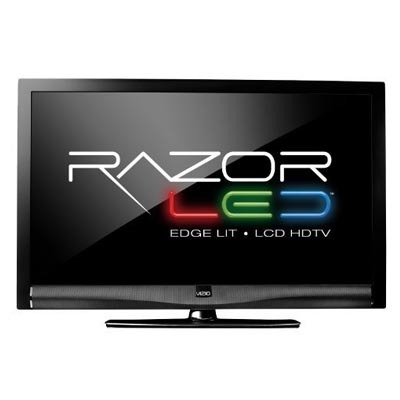 As impressive as it is thin, the 42" Edge Lit Razor LED LCD HDTV proves Full HD doesn't have to carry a premium price tag. 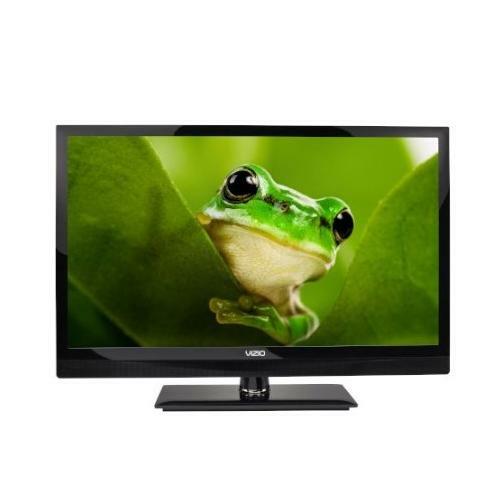 1080p Full HD resolution with Razor LED backlighting provides brilliant color, contrast and clarity, while a striking 100,000 to 1 dynamic contrast ratio supplies truly deep blacks and brighter whites. 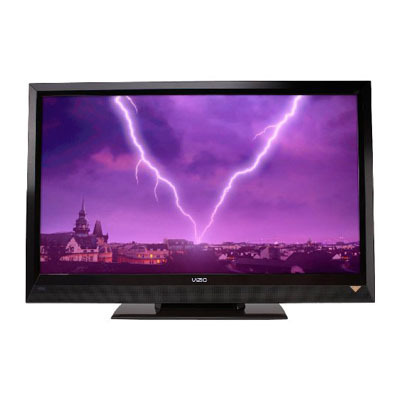 Bring that intense 3D movie experience home with VIZIO's 47-inch Edge Lit Razor LEDLCD HDTV. Winner of Popular Science's Best of What's New 2011, Theater 3D is advanced, flicker-free 3D that's better and brighter than conventional 3D. With four free pairs of battery-free 3D glasses, this HDTV puts next-generation 3D well within reach. VIZIO's 37-inch E371VL delivers 1080p Full HD picture quality, solid audio performance, and plenty of value. 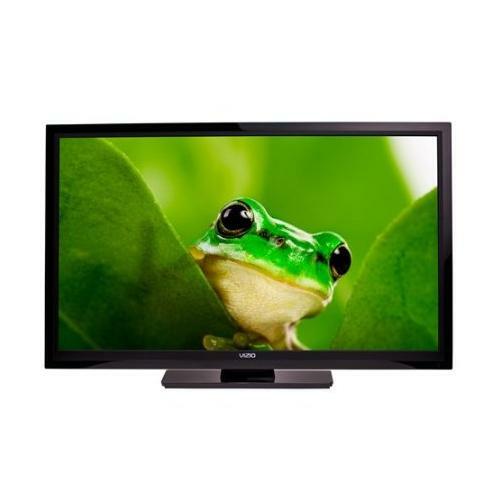 This flatscreen LCD HDTV features SRS audio technologies for virtual surround sound, a 100,000:1 Dynamic Contrast Ratio for deeper blacks and brighter whites, and two HDMI ports for connecting your HD sources. This display also exceeds ENERGY STAR 4.1 guidelines, and utilizes built-in ambient light sensing technology to adjust backlight levels according to the ambient lighting conditions. VIZIO's 47-inch class E3D470VX delivers an immersive 3D experience, Full HD video with a 120Hz refresh rate, Internet-connected entertainment with built-in Wi-Fi, playback of music and images from USB devices, and solid audio/video performance, all for a price that might surprise you. 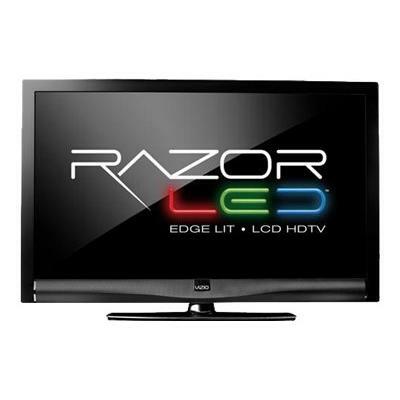 VIZIOÃ¢Â€Â™s 32Ã¢Â€Â Class Edge Lit Razor LED LCD HDTV features Razor LED for brilliant color and contrast in a razor thin design. This sleek HDTV also features ambient light sensing technology for a perfectly-balanced picture thatÃ¢Â€Â™s never washed out or too bright and SRS StudioSound HD audio for advanced virtual surround sound. 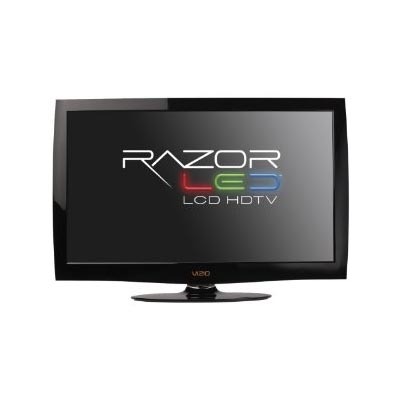 VIZIOÃ¢Â€Â™s 32 Inch Class Edge Lit Razor LED LCD HDTV features 1080p Full HD resolution and Edge Lit Razor LED backlighting for brilliant color and contrast in a razor thin design. With an amazing Dynamic Contrast Ratio of 100,000 to 1, this sleek HDTV also delivers superior audio using SRS StudioSound HD audio for advanced virtual surround sound and volume control. It has three HDMI ports so you can connect up to four HDMI devices to your HDTV. 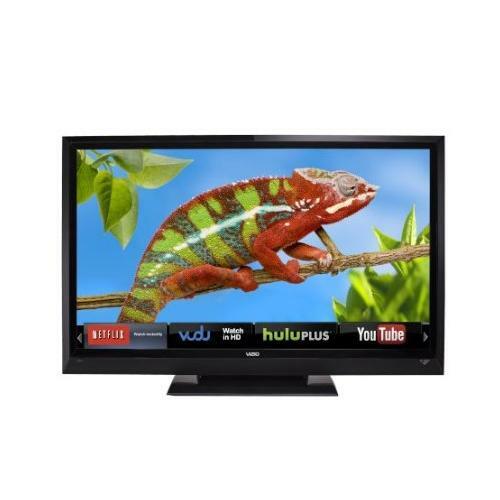 VIZIOÃ¢Â€Â™s 32Ã¢Â€Â Class LCD HDTV with VIZIO Internet Apps puts the best of the web right on your TV, giving you instant access to VUDU, Netflix, Hulu Plus, Pandora, Facebook, Twitter and more with built-in WiFi for easy set-up. Its ambient light sensing technology ensures a perfectly-balanced picture thatÃ¢Â€Â™s never washed out or too bright. 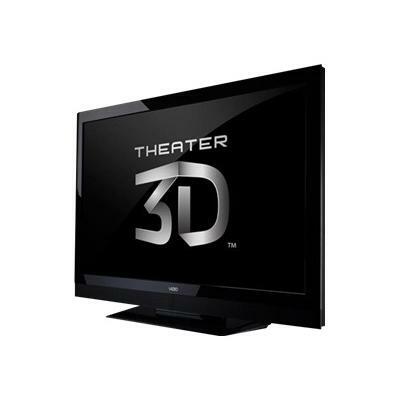 Bring that intense 3D movie experience home with VIZIO's 42" Theater 3D LCD HDTV with VIZIO Internet Apps. You'll enjoy the same crystal-clear, flicker-free 3D you get in the theater with similar lightweight glasses that are comfortable and significantly more affordable than heavier 3D glasses that need batteries or recharging. 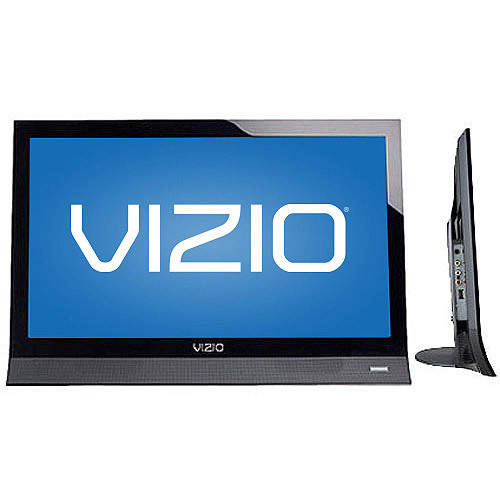 VIZIO's 24-inch class (24-inch diagonal) Edge Lit Razor LED LCD HDTV features Razor LED for brilliant color and contrast in a razor thin design. This sleek HDTV also features SRS StudioSound HD audio for advanced virtual surround sound. Its HDMI connection is ideal for a Blu-ray Player, laptop or game console, and it meets ENERGY STAR 5.3 guidelines making it kinder to the environment and your wallet. 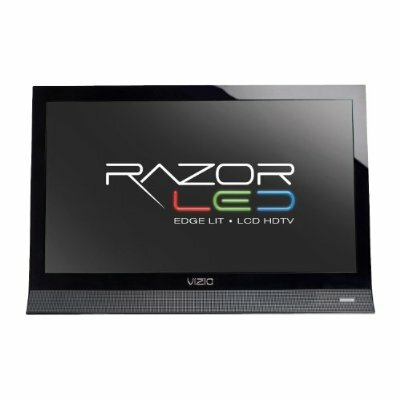 Inch by spectacular inch, the 47" Edge Lit Razor LED LCD HDTV with VIZIO Internet Apps delivers the ultimate Full HD experience and premium online entertainment in a razor-thin design. 1080p Full HD with Razor LED backlighting and 2 million to 1 dynamic contrast ratio renders every image with amazing clarity, color and contrast. It also features a quick 240Hz SPS refresh rate so fast-action sports and movies are always smooth and ultra-sharp. 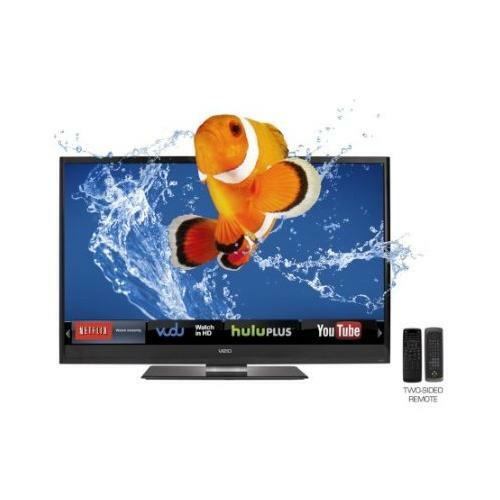 VIZIO's 47" Class LCD HDTV delivers 1080p Full HD and superior audio quality at an amazing value. This flat screen HDTV features a 100,000 to 1 Dynamic Contrast Ratio for deeper blacks and brighter whites, and ambient light sensing technology for a perfectly-balanced picture that's never washed out or too bright. SRS StudioSound HD supplies advanced virtual surround sound, and two HDMI ports accommodate your satellite or cable TV and Blu-ray Player. 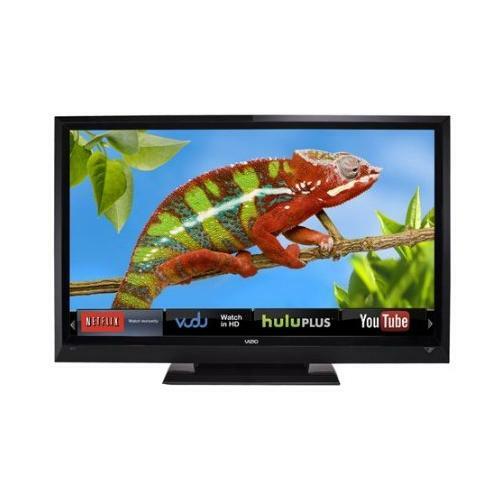 Vizio's 42" Class (42.02" diagonal) LCD HDTV with Vizio Internet Apps puts the best of the web right on your TV screen, giving you instant access to VUDU, Netflix, Hulu Plus, Pandora, Facebook, Twitter and more. With built-in Wi-Fi for easy set-up, this HDTV also boasts 1080p Full HD and 120Hz refresh rate for a superior picture at an amazing value. Its ambient light sensing technology ensures a perfectly balanced picture that's never washed out or too bright. 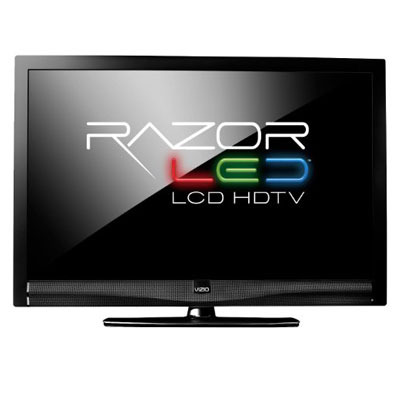 VizioÃ¢Â€Â™s 26Ã¢Â€Â Class Edge Lit Razor LED LCD HDTV features Razor LED backlighting for brilliant clarity in a razor thin design. This sleek HDTV also delivers superior audio using SRS TruVolume and SRS TruSurround HD audio for advanced virtual surround sound and volume control, and has two HDMI ports so you can connect up to two HDMI devices to your HDTV. 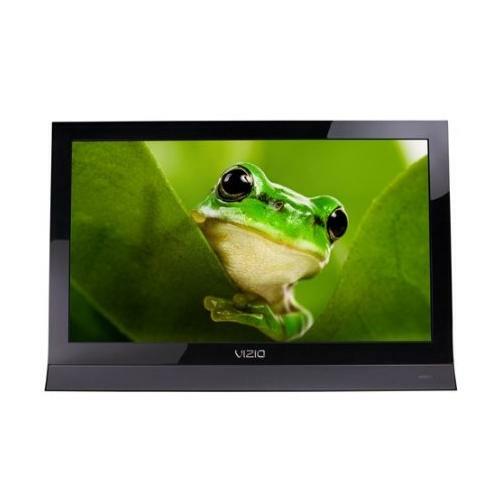 Vizio LCD HDTV features full 720p high-definition resolution with RazorLED backlighting for brilliant color and contrast in a razor thin design that's less than 1.62" thin. This sleek HDTV delivers superior audio using SRS TruVolume and SRS TruSurround HD audio for advanced virtual surround sound, and has 2 HDMI ports to connect up to 2 HDMI devices to your HDTV. 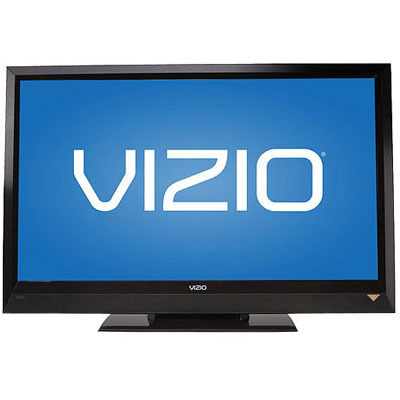 The VIZIO 42" LCD 1080p 120Hz HDTV, E422VL with VIZIO Internet Apps puts the best of the web right on your TV screen. With built-in Wi-Fi (802.11n) for easy set-up, this HDTV also boasts 1080p Full HD and 120Hz refresh rate to deliver superior picture and audio quality at an amazing value, all while exceeding ENERGY STAR 5.3 Guidelines to reduce energy consumption. 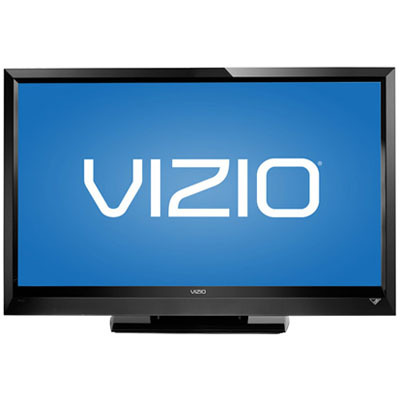 Vizio's M420SL 42" Class (42.02" diagonal) Edge Lit Razor LED/LCD HDTV with Vizio Internet Apps puts the best of the web right on your TV. Get instant access to on-demand movies, TV shows, social networking, music, photos and more at the push of a button on the enhanced two-sided remote with keyboard. Equipped with built-in Wi-Fi (802.11n), it also boasts 1080p Full HD with Razor LED and 200,000 to 1 DCR for brilliant color and clarity in a razor thin design. 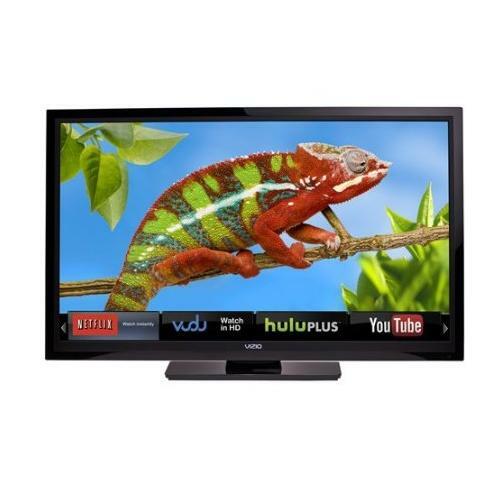 VIZIO's E470VL 47-Inch LCD HDTV delivers full 1080p HD picture quality and superior audio quality at an amazing value. 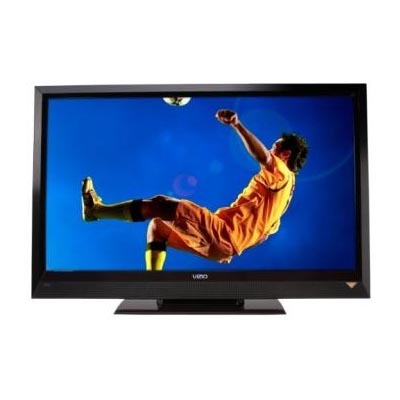 This flat screen LCD HDTV Includes 120Hz refresh rate, SRS TruVolume and SRS TruSurround HD audio for advanced virtual surround sound and three HDMI ports to connect up to three HDMI devices to your TV. Exceeds Energy Star 4.0 guidelines to reduce energy consumption. 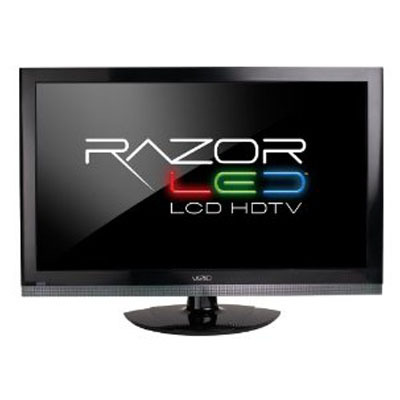 VIZIO's 19 Inch Class Edge Lit Razor LED LCD HDTV features Razor LED for brilliant color and contrast in a razor thin design. This sleek HDTV also features ambient light sensing technology for a perfectly-balanced picture that's never washed out or too bright and SRS Trusurround HD audio for advanced virtual surround sound. Its HDMI connection is ideal for a Blu-ray Player, laptop or game console, and it meets ENERGY STAR 5.3 guidelines making it friendlier to the environment and your wallet. 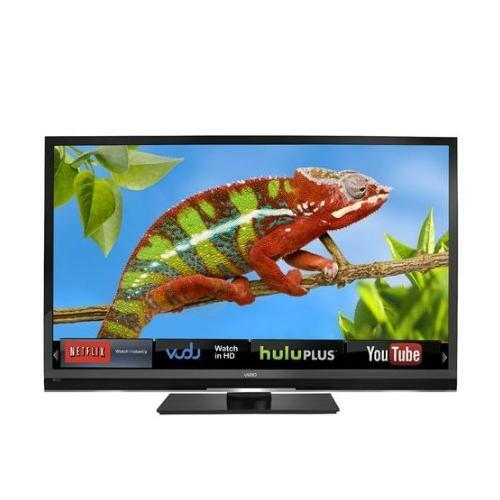 VIZIO's 32" Class Edge Lit Razor LED LCD HDTV features 1080p Full HD resolution and Edge Lit Razor LED backlighting for brilliant color and contrast in a razor thin design. With an amazing Dynamic Contrast Ratio of 100,000 to 1, this sleek HDTV also delivers superior audio using SRS TruSurround HD and SRS TruVolume audio for advanced virtual surround sound and volume control. It has three HDMI ports so you can connect up to three HDMI devices to your HDTV. High definition entertainment has never been so amazing and affordable. The 42" Class LCD HDTV delivers Full HD for incredible color and contrast, and striking contrast ratio for truly deep blacks and brighter whites. No matter your lighting arrangement, you'll always have you the best picture possible thanks to built-in ambient light sensing technology that automatically adjusts backlight levels based on its surroundings. High definition entertainment has never been so amazing - or affordable. 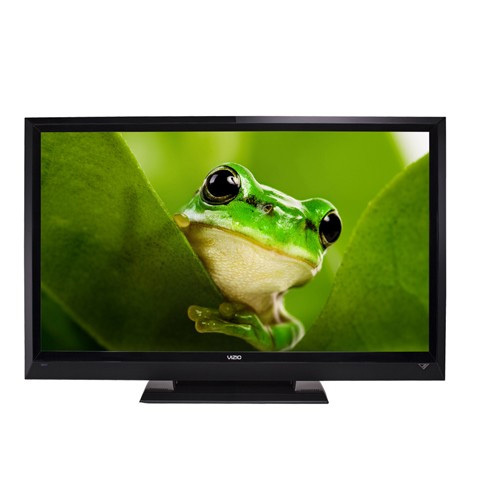 The 47" class LCD HDTV delivers 1080p Full HD for incredible color and contrast, and striking 100,000:1 dynamic contrast ratio for truly deep blacks and brighter whites. VIZIO's 19-inch class (18.5 inches viewable) E190VA features edge-lit LED backlighting, for brilliant color and contrast in an ultra-thin design. Add SRS audio technologies for virtual surround sound, a 20,000:1 Dynamic Contrast Ratio for deeper blacks and brighter whites, two HDMI ports, JPG photo viewing via USB, and an energy-efficient ambient light sensor, and you've got a smaller display that's as smart as it is sleek. 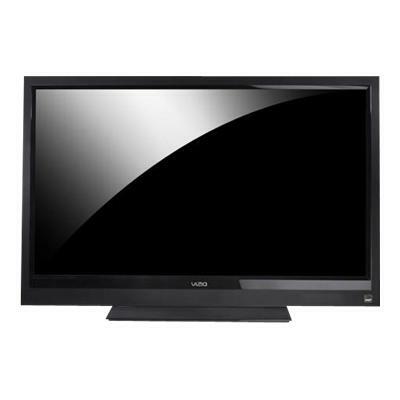 The Vizio M420NV Razor LED is an LED backlit LCD HDTV that uses advanced technology to deliver quality, detailed picture and create a few features that save energy. With a 42-inch screen, the HDTV has TruSurround HD and TruVolume that produces great clear sound quality. It also has 120Hz refresh rates that accents the crisp resolution that's bright and vivid. The VIZIO E320VP 32" Class (31.51 inch diagonal) edge lit RazorLED LCD HDTV is brilliant in color, rich in detail and deep in contrast - all in a razor thin design that is less than 1.34" in profile. This immaculate beauty offers razor sharp clarity and delivers a 100,000:1 dynamic contrast ratio for deeper blacks and brighter whites. Owners also enjoy ultimate connectivity with two high HDMI inputs. 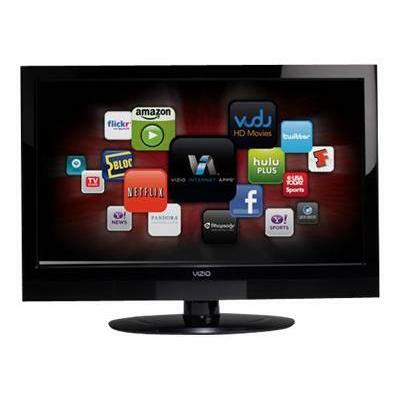 VIZIO's M320SL 32" Class Edge Lit Razor LED LCD HDTV with VIZIO Internet Apps puts the best of the web right on your TV, giving you instant access to on-demand movies, TV shows, social networking, music, photos and more at the push of a button. With built-in Wi-Fi (802.11n), it also boasts 1080p Full HD with Razor LED and 200,000 to 1 DCR for brilliant color and clarity in a razor thin design.